Rent quoted INCLUDES utilities and unlimited internet NO bond payment Apartment features: - 2 bedroom 2 bathrooms and 1 carport - Gas cooking - Fridge, Dishwasher, Washing machine - Balcony Bedroom's features: - Master bedroom - Large double wardrobe - En-suite - Bright and airy - Room will come furnished with what you can see in the photos i.e. tables, bookshelves, bed etc. 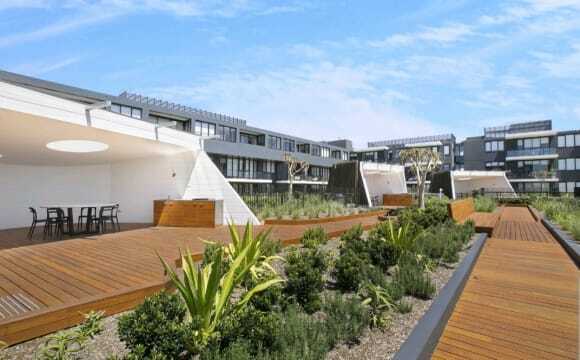 Sydney Park Village Amenities - Gym and indoor/outdoor pool facilities - Tennis and basketball courts Excellent location, right next to Sydney Park and Newtown, only a 3-5 min walk from St Peters train station, also well connected by bus into the CBD. Carport not included with room. Rent is negotiable for the right person. The block is situated ~3 minutes walk from St. Peter's train station, a short stroll to Newtown, has a gym, concierge, security, tennis &amp; basketball courts, indoor and outdoor pool. Close to Sydney Park and the Grounds. Off-street parking is available as an additional expense. The unit which is situated on the top floor, has reverse cycle air conditioning, built-in wardrobes, an internal laundry, 2 floors, plenty of bathrooms, a balcony, comes fully furnished and swish appliances for all those budding master chefs. So all you need will be a bed. If you don't have one, that could be arranged for the right flatmate. LGBTQI friendly. Available from 4th May, for 1 to 2 months. Its a beautiful luxury property! Just 2 years old, in great location, just 5 mins from trainstation and shops/cafes, a 10 mins stroll to Newtown and just 5-10 mins to the city by train. Each room has own bathroom, there is a spacious livingroom and modern kitchen. 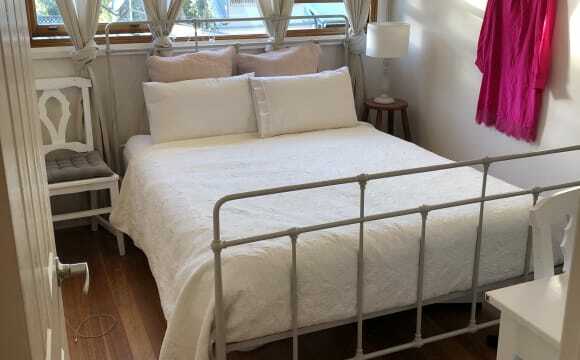 Inspection time: by appointment * Address: 21 Park Street Erskineville NSW *Queen size room with balcony. *Available from 06 AUG 2019 HIGHLIGHTS OF THE PROPERTY &amp; Private courtyard with shed offers a fantastic space to entertain. &amp; GAS Cooktop, So much better than electric cooktops &amp; Timber floors throughout &amp; New Bathroom &amp; Two Toilets &amp; Can apply for free Street parking permit in local council. &amp; Wide street is rarely seen in inner city, easy to park the car &amp; Rear laundry Preferably Mature student, Couple, Professional staff and Clean, Tidy, Trustworthy, Friendly and enjoy peaceful life people $360 per week includes all bills CONDITIONS: The minimum lease term will be 4 Months to 1 year Smoking outside only. Three weeks bond Two weeks rent are required to paid in advance. Rent includes: Fridge, Washing machine, electricity, gas, water, Broadband, furniture are included in the rent. Air conditioning is available for an additional charge. The house is light filled and spacious, and recently built. 5 minute walk from Erskineville station, 8 minutes to Newtown station, a 15 minute walk to USYD and a Woolworths is just a 2 minute walk up the road. Close to plenty of bus stops to the city and right in the middle of the lovely community Erko vibes. Great local pubs and cafes close by, Sydney Park just down the road and in the heart of the inner west, there couldn’t be a better, more vibrant or comfortable place in Sydney to live. The house is fully furnished, with 4 bedrooms, 3 bathrooms, complete laundry, new kitchen and a spacious outdoor living space. The room itself is east facing receiving morning sun, bathroom is just next door and there is a built in closet available. Parking: 24 hours parking right out the front door. A clean, modern apartment with A/C, dishwasher, laundry appliances etc etc. We have a shared roof top area with BBQ that’s great on a summer evening. This property is clean, fresh and has all the mod cons eg. air conditioning, NBN internet, Netflix, washer, dryer, microwave, dishwasher. Fully furnished. 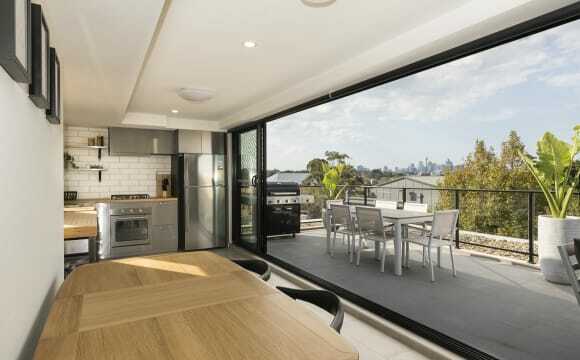 5 minute walk to Erskineville train station which is 2 stops into the city. Private east-facing room with a balcony located on the first floor of a modernised terrace house in the quiet part of Erskineville. The room on offer is front facing and has a private balcony big enough to fit a hammock. Location-wise, we are a 5-10 minute walk away from Erskineville and Macdonaldtown railway station and 10-15 minutes from Newtown railway. Our beautiful home is a stone's throw from an abundance of dining options including Shenkin, Fleetwood Macchiato, The Hive Bar, just to name a few, with a Woolworths Metro located within a 10minute walk door-to-door. We have a huge outdoor backyard with space for a car that is available for you as my housemate, Zoe, and I do not own a car. There is also free on-street parking available. The room is furnished with a bed and has a built-in wardrobe. The room can be made unfurnished on request. The room is available now for your convenience. The flat is just under 12 months old, 2 bedroom, 2 bath, air conditioned, 6th floor north east facing, fully furnished and with quality appliances and fittings. The flat comes with NBN, tv in the living area with Netflix and Stan, gas cooking, Dehlonghi coffee machine. Lots of windows with natural light, balcony and open plan living. Walking distance to both Erskineville and St Peters stations and moments from King Street and Sydney Park. There is also a shared courtyard/garden downstairs. 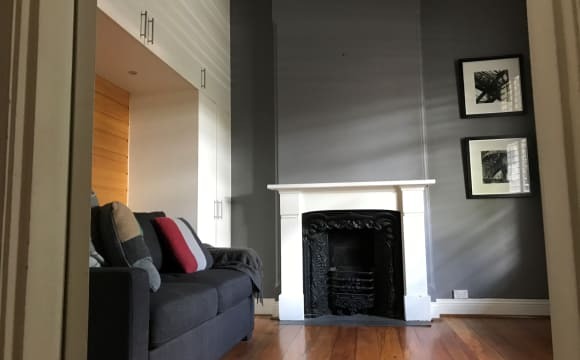 Property is in Erskinville, 5 minutes walk to the train station so is super convenient to get anywhere, 10 minute walk into newtown, loads of great bars and restaurants around the local area, very safe and in a brand new modern estate. Great 2 bedroom apartment within walking distance to King Street Newtown including restaurants, bars, cafes, theatres and shops. Well serviced by buses and trains, with easy access to both Sydney City and the suburbs. Directly opposite Sydney Park. Complex includes outdoor swimming pool, gymnasium and tennis court in a Balinese garden setting. 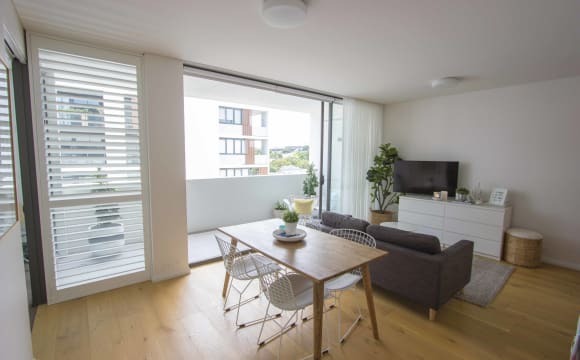 The apartment is in in an award winning modern design complex with 2 bedrooms, 2 bathrooms, internal laundry, 2 large balconies and an open plan kitchen/living space. 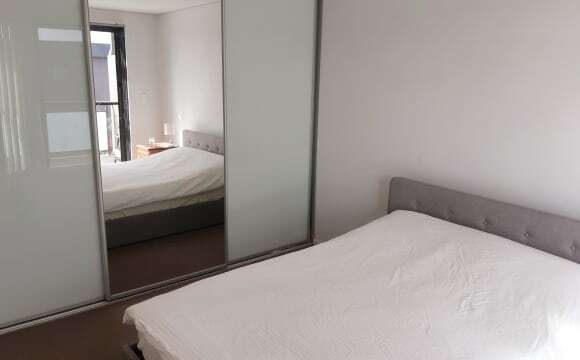 Fully furnished but furniture in second bedroom can be removed if required. My friend Dave and I are moving into this awesome house in Newtown and are looking for a third housemate! We have never lived together, and we both want someone who will hopefully become a friend and really be a part of our new home. Someone who likes to hang out with us from time to time but also has their own friends/hobbies/work. You also have to like cats as I am adopting one once we are moved in! It's an 1890's terrace which is currently being renovated - due to renovations I don't have great pictures, but will update as soon as I can. There will be a new front door, front and back windows, new ceiling in the living area, and a brand new oven has already been installed! The house is very spacious, with a large living/dining area downstairs and a great courtyard out back which is sheltered from onlookers as the garage blocks off this side of the house. There's a BBQ as well for entertaining friends in the summertime. There's a separate toilet downstairs in addition to the upstairs bathroom. The house has 3 bedrooms, two on the first floor and the third is an attic room (no door), which is advertised here. This room is the largest of the house and is set apart from the rest of the house on the top floor. You will get lots of light and nice views, as it has windows facing both the front and the back of the house. It would fit a large bed and drawers, plus probably a couch, or large desk as well. 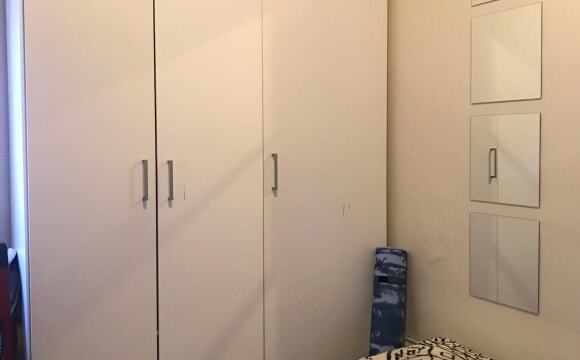 Wardrobe might be harder to fit in due to the ceiling in the attic, but it is rather spacious so you can add lots of smaller pieces of furniture for storage! Located 4 minutes from Newtown train Station in the heart of Newtown nice house with washing machine, dryer, bbq area, nice size rooms. Very close to public transport hub to shops and restaurants. Our entire flat is available from Sunday 12 May to Saturday 29 June. The bedroom is comfortable, has its own bathroom and you will have the place to yourself during this time. Fortnightly cleaner (paid for by us). NBN internet, Netflix, Stan, FoxtelPlay etc. Facilities include gym, pool, tennis and basketball courts. Kitchen and laundry are fully equipped with everything you need. Cafes, shopping, buses, trains, Sydney Park, King Street and Marrickville Metro all very close. We normally AirBnB this room so if you need more time after Saturday 29 June, that can be arranged. The unit is in happening area in Sydney Inner West (Newtown) located in King street. The unit is in secured building and can't get in without access. The unit has beautiful surroundings/greeneries &amp; parks in walking distance. It has bus &amp; train connections. Newtown &amp; StPeters stations are in walking distance. Lots of cafes, restaurants &amp; bars are in a min walk from the unit. One bedroom loft apartment located on the border of Newtown and Erskineville. Fully furnished with a king size bed. 5 minute walk to Newtown or Erskineville train station. Lots on offer in the area including restaurants, bars, pubs and cafes. Located very close to a supermarket which is very convenient. Rent includes water, electricity, internet bills as well as a fortnightly cleaner. Please note that we'll check the property once during your stay to ensure the property is being well kept and the cleaner is servicing correctly. 2 bedroom apartment with a shared bathroom. The room is quite big and it has a balcony. The property is entirely furnished and the apartment has been renovated recently. It is located between Erskineville and Alexandria. 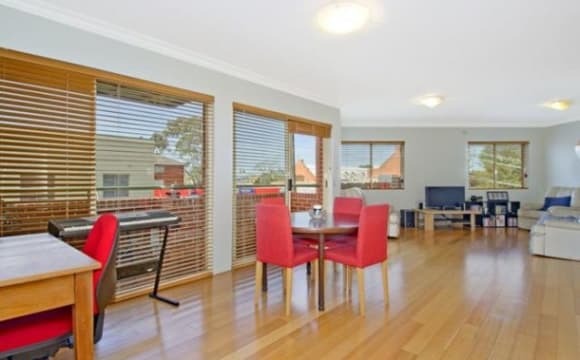 5 minutes walking to Erskineville station, 8 min walking to Woolworths Alexandria and 15 min walking to Newtown. The street and the complex are quiet and chilled. ROOM STILL AVAILABLE (AS OF 23 APRIL) Our current roomies have finished studying and heading back to Columbia so we're looking for a third person or couple or who want to make our creative house their home. We live in a cute terrace house on a wide, treelined street, lovely and quiet despite being 30 seconds walk from bustling King Street. Conveniently located 5 mins walk from beautiful Sydney Park and St Peters Station, or 10 mins walk in the other direction to Newtown Station, Dendy Cinema and the central Newtown 'hub'. The house is fully furnished, recently renovated, light filled, freshly painted, with a modern kitchen that has a new dishwasher and gas stove top/oven and every appliance you can think of. It has polished floorboards, laundry with washing machine and clothes line. High speed internet and bills are not included in the rent price and are split evenly between the house. The room is massive and is the master bedroom of the house. It's a loft set up so no door but is extremely private and you have the entire top level of the house to yourself. It's filled with natural light with two massive windows (both with great blinds for sleep ins). It has an ensuite and walk in wardrobe with shelves and hanging space, as well as additional storage room/attic. The bathroom is neat with big shower, toilet and vanity sink. The room also comes with off street parking in the form of a remote controlled courtyard parking spot. The room fits queen/king bed, side tabes, book shelf, dressing table, clothes rack with plenty of room for activities. Best thing about this property is location! Two gyms just down the road, situated between Newtown &amp; St Peters station. If your craving snacks there is a convenient store just beneath the apartment block. Plenty of restaurants alone King St and Enmore St. We both are very positive people and enjoy travelling. 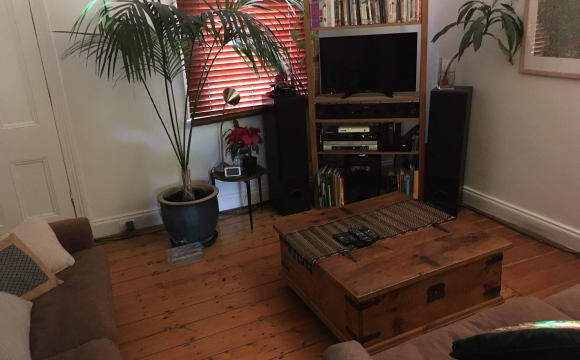 The room is on the top floor of a two-storey terrace house on the border of Alexandria and Erskineville and is available from late May (around the 25th) for four/five months until mid October (the 10th). The house 10 minutes walk from Erskineville station - and all the pubs and cafes around there - 10 minutes walk to Sydney Park and five minutes to Woolworths and a Dan Murphy's bottle shop. It's a 15-20 minute walk to King St at Newtown, while there are heaps of cafes/eateries in Alexandria that are a 5-10 minute from the house too. The house has a TV with Netflix, Stan, Foxtel. There's also Wi-Fi and a courtyard out the back with a clothesline, BBQ, plenty of plants and a table/benches. Out the front of the house is a communal "piazza" area that's very leafy and has plenty of tables and places to sit. The house has two bathrooms with two showers. The room for rent shares the top floor bathroom with a shower/bath with the couple, but everyone is also welcome to use the downstairs bathroom which also has a shower. We also have a dishwasher and washing machine. 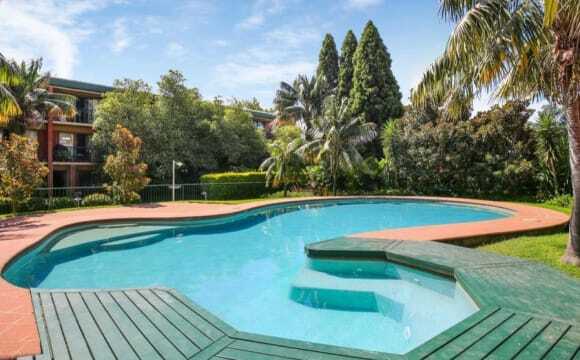 Located in the prime location of Sydney in the heart of Alexandria, at around 6km from the CBD, the property boasts a really homely atmosphere in its design and layout. The street on which its situated is beautifully tree-lined, quiet (despite being so close to the city), and full of the friendliest of neighbours (of which the majority own dogs!) The house is surrounded by cafes and restaurants in almost all directions, is a 10 minute walk from Erskineville station (from which it takes roughly 7 minutes to get to central station), and is situated at a few minutes walk from Sydney park, King St Newtown and Redfern also. We have the place fully furnished with all kitchen goods, TV in the family room etc. In the bedroom itself i'll leave behind a queen bed with a nice mattress, clothes rack, and a cube storage wardrobe. Room rate includes fortnightly cleaning and all bills !!!! You must love dogs because there are 2 indoor dogs. Sorry we can't have cats due to allergies. Also included Unlimited broadband internet Utilities - electricity and gas We do not have a land line. The house is fully furnished and no room for any additional furniture. ABOUT THE ROOM Small room with lots of light. It is furnished with a Queen bed, a built in wardrobe, and a heater. If you want to furnish it yourself, we can have the room empty for you. ABOUT THE HOUSE You will be living in a townhouse, on the second floor the hallway and 2 bathrooms separates Tina’s room and your new room. The third floor is Pauls room. The house is fully furnished, internal laundry has a washing machine and dryer. You can hang your clothes outside in the courtyard at the back of the house. There is a bit of clutter in the dining room due to lack of storage. The kitchen has a dishwasher ...such a time saver ! If you have a green thumb, you can have the pot garden space and grow veggies and herbs. 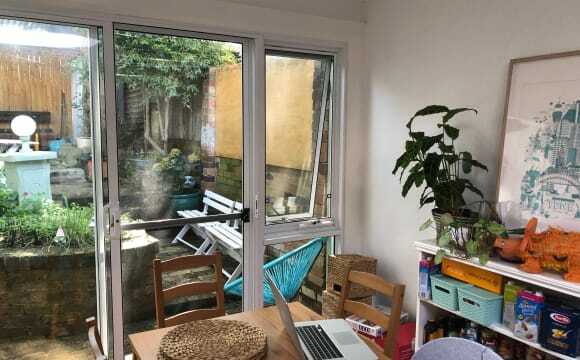 ABOUT THE LOCATION We have the convenience of inner city lifestyle with cafes, pubs, restaurants and supermarket within 10 minutes walk yet it is a quiet residential street with no through traffic and free street parking. YOUR NEW HOUSEMATES We are independent and sociable. Tina works in Financial services Monday to Friday, out at 8am and back 7pm , then to the gym or some sport. Paul is a musician and works from home during the weekdays and he is out on gigs from mid week nights through to weekends. WE HAVE 2 INDOOR DOGS Genevieve a Japanese spitz (2yr ) and Zoey a Cavoodle (3yr) . They both live inside, they generally don’t bark unless there is someone at the door. In the morning around 6:30am you will get some whining from Genevieve which can be annoying. She can carry on until someone comes down which is usually Tina. We are working at training her out of it. Also Genevieve's white fur seems to go everywhere , I vacuum every 2nd to minimise but it’s inevitably still around. Prefer to have someone who loves having dogs around and if you want to take them for a walk or play ball, they will love you. Paul and Tina live active, busy lifestyle, health conscious and love adventure travelling. Tina is also into dragon boat racing. Weekends, Paul is out on gigs, while Tina is usually out and about. Week nights Paul likes to watch a netflix or a movie, we don't have the TV connected. IDEAL HOUSEMATE We would love to become friends with you so some common interests would make it easier. Having said that it doesn't have to be a deal breaker. It is an ideal. You are responsible and clean up after yourself. You are balanced between sociable and home body. Not into loud parties , loud music but not a stay at home person all the time. You love animals and especially dogs You like a reasonably clean and tidy environment but not a total neat OCD freak. SOME OTHER IMPORTANT STUFF With regards to cleaning, we have a cleaner come every fortnight to do the floors, and bathrooms. You just need to clean after yourself when using the kitchen. Please get in contact, and we can provide more information or if you want to make a time to come over and have a chat and see the place. Room for rent in 5 bedroom house in Newtown. 3 minute walk to Macdonaldtown station and less than 10 minute walk from Newtown and Erskineville station. 4 others stay in the house, 3 Australian guys and a Scottish girl. Rent is $210 a week and bills work out about $15 a week each, bond is $840. Flexible on the move in date. 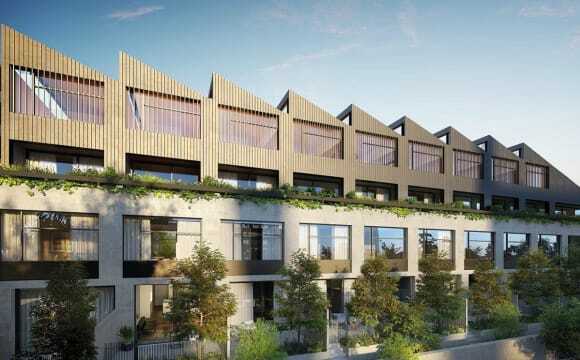 Would you like to live in a spacious house on the border of Erskineville and Alexandria with Sydney Park as your backyard, a short stroll to all the Newtown buzz and share only with one housemate? The house is located on a great location, 3 minutes walk to Sydney park, 10 min to Newtown, 10 min walk to St Peters station, 2 minutes to buses and 12 minutes train to the city. Rent includes Netflix and Amazon Prime video. You will be living on a wide leafy street with a quiet cul-de-sac at your doorstep. In the property you will find 2 double bedrooms, spacious living room with 4K TV and audio surround for entertainment, dining room and kitchen with view to the courtyard, laundry and bathroom. Outside there is a sun lit courtyard, grass and veggie patches (that you are welcome to grow as you please) and leafy trees. The Room is 3 x 3.5 meters approximately so you could fit double bed and a desk. Wardrobes are included. This complex boasts a pool, gym and heaps of visitors parking all within a secure complex across from Sydney park. Where you can do morning and arvo exercise. Within waking distance to yummy cafes on the road as well as being a stone's throw away from erko and Newtown. Closest train station is St Peter's which is roughly 10 min walk away. You'll have your own private room with mirrored built-ins which can fit a queen bed and you'll have your own bathroom with the use of all common areas as well as making use of the awesome courtyard just off to the living room which faces a northerly aspect. Electric cooking, no a/c. It has a young-ish cool vibe in the area. I have Wi-Fi available and its NBN and thats $30 each as well as NETFLIX FOR FREE!!! Bills is only electricity and thats to be split evenly every quarter. Wi-Fi is due 1st if every month. PS- if you're interested and wanting to make the move, the real estate asks if you fill out a sub tenant form online. This isn't for you to be on the lease, it's just so they know who's living in the property. Very nice hose, three floors next to supermarket, bus stop two train station away from central. The available room is a fully furnished double room with a double bed, a large mirrored built in wardrobe, a large furnished balcony and your own bathroom. 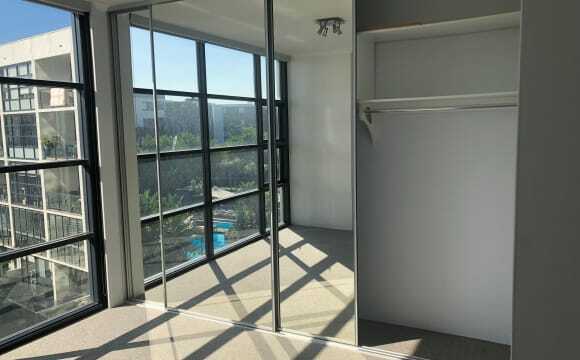 The bedroom is located upstairs in a two storey apartment, while downstairs has a large combined living and dining area, another bathroom (the apartment has 3 in total! ), and another balcony with outdoor table and a BBQ. The apartment comes with all the facilities you would expect: - Washer and dryer - Fully equipped kitchen - Air conditioning - Large TV - Fetch TV box and Netflix (comes free with the rent) Gas, water, electricity and internet are also included your rent. Our apartment is in a great location, with everything you need right on your doorstep: - 1 minute walk to St. Peters station. - Bus stop just outside the apartment, which can take you straight to Coogee beach and Glebe. 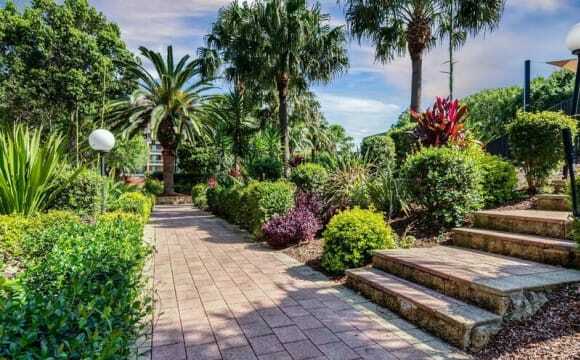 - Sydney Park a 2 minute walk away, with huge, green outdoor spaces. - Fitness Playground gym across the road. - Dozens of great cafes, restaurants and bars all along King Street. Despite being so close to the hustle and bustle of Newtown, the apartment itself is very quiet as soon as you close the doors to outside. One bedroom with own bathroom. Looking for a neat and considerate female to rent the ground floor unfurnished bedroom with built-ins of a three bedroom terrace. Non-smoking inside. Large open plan living space. Located in the suburbs golden triangle, this quiet leafy street is a stone’s throw from any number of popular cafes, restaurants and parks. Across the road from Fratelli Fresh and just a 2 minute walk to Woolworths and Dan Murphy’s in Fountain Street, 5 minutes stroll to Erskineville Village, or up the road to nearby Redfern. Bus stop is located 50 metres away on Mitchell Road. Parking available in several unmetered spots on the street, elsewhere it’s unmetered from 6pm – 8am with no restrictions on weekends. Only expense is to split cleaner fortnightly bill. Room available now. We are looking fill two rooms in a terrace house in Newtown due two of our dear friends moving out. The house is located 7 mins walk to Newtown station and 5 minutes to St Peters and super close to King Street. It’s a clean fully furnished house, featuring a separate living and dining area and outdoor courtyard. 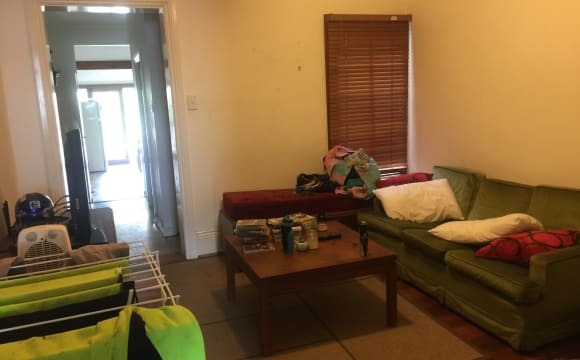 You will be living with 2 nurses and a HR professional, all non-locals, we all work lots including shift work but enjoy a wine, dinner or chat when everyone is around. The big room is $320 per week and is a huge double sized room on the top floor and includes the terrace balcony. Available 25 May. The second room available is $225 and is a smaller bright room that will fit a double bed, chested draws and clothing rack. This room is available now. Minimum 6 months stay. Ample free on street parking around the area. No couples, pets or smokers. We are looking to do inspections ASAP. 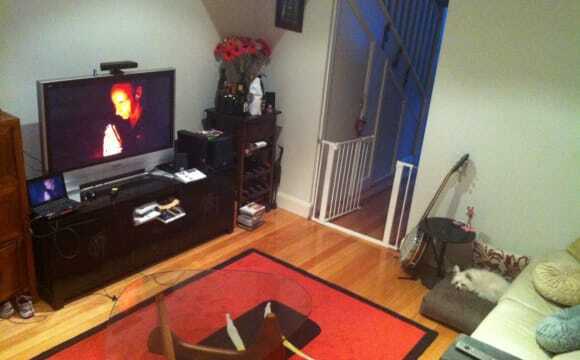 Small sized room available in two storey Newtown townhouse. Great location with heaps of restaurants and bars and entertainment around the corner and up the road. Street isn't too busy and parking is usually available. Beautiful wooden floors! Close to the city and close to public transport.